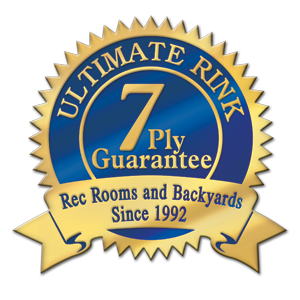 A fun, active time, only a short distance from your kitchen; imagine an ice rink in your backyard, a good time, exercise with your family and friends, just outside the back door. You could share the smiles and laughter with your children, family and friends, while having a great time. You could hear the giggles and the skate blades cutting into the frozen ice as your child glides across the ice. See your breath as you lay down a flood of water. You could share the memorable times and holiday pictures while exercising. Simple and fun, you could share these times in the winter. Forget going to the gym! Leave public skating in the dust! 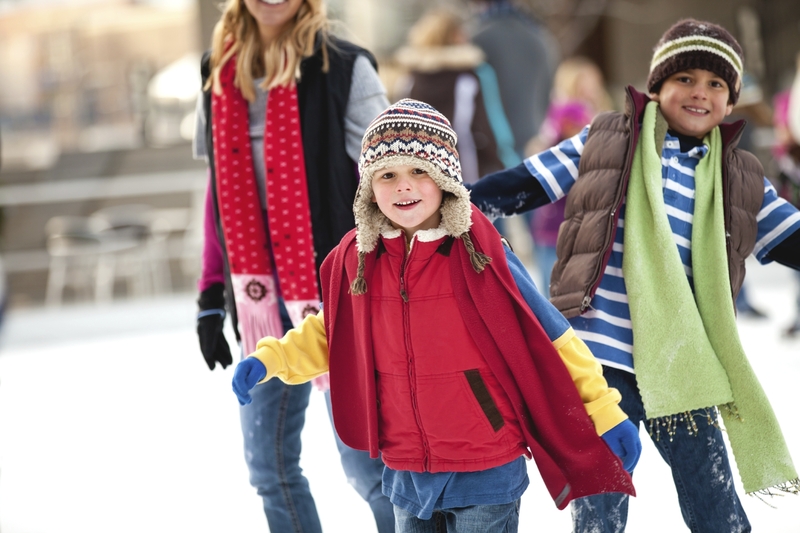 Get a backyard hockey rink to take advantage of wintertime! Great exercise, great times, great training for next hockey season! Old Wives Tale # 1 Warm water freezes faster then Cold??? Not! Just think about that for a minute! Old Wives Tale # 2 It takes x number of days to build and freeze your rink? Many factors including temperature of each day and night, amount of snow that has fallen in your waiting water pool and how much sun or shade your rink has greatly influence the freezing times. Old Wives Tale # 3 You can paint or color your rink surface with lines, with out a problem? You can, but you need almost complete shade or our special Solar Ice product. We still recommend our Solar Ice product for smaller areas like the Center Ice Art options like Bulldogs, Eagles, Sharks and Wolves. Old Wives Tale # 4 You can’t build a rink with out snow? As long as you have cold below freezing all night and for most of the day and an Ultimate Outdoor Rink concept, a rink is a reality. Old Wives Tale # 5 You need hot water for a flood. Hot water helps, but it isn’t totally necessary. Here’s the skinny…No b.s. Cold water is already 5 -10 degrees warmer than the ice surface. That’s a good start. Warm water is better than cold if you are trying to fix your surface imperfections. Hot water is best if you really need to level your bumps and issues caused by a weather front that has passed through your area leaving a mess of your ice surface. Hot water however, is not a necessity. Old Wives Tale #6 You need to build your rink when the ground is frozen? Here is the wifes tale in all it’s glory…… My rink is melting from underneath because the ground wasn’t frozen when I started building???? The reason this is a valid observation is because ice floats and all the melted water is underneath. In truth, the warm air above is actually doing the melting and the melted water is running underneath your existing ice. You now essentially have an iceberg in your rink box. If you waited for frozen ground this would delay your start time to somewhere in the neighborhood of mid December for many geographical areas. Who wants to wait to build their rink in the cold? when it can be done sooner. A 6 pack of mistakes often made by rookie rink builders. 2. Not understanding the slope where you have positioned your rink frame. Many issues would develop from this. 4. 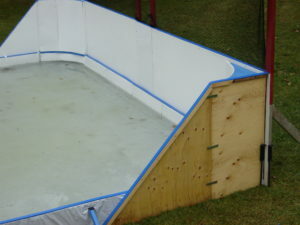 Fastening the liner to the inside of your outdoor rink frame before the water gets added and not allowing the liner to settle into the lay of the land previous to fastening. 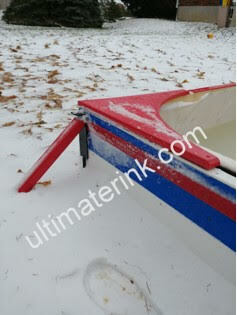 Liner settles and ice rink liner tears and all tears are now below the water line. 5. Not doing enough homework and trying to install your outdoor rink in a hurry because there is cold front coming. Hurry cause errors. 6. 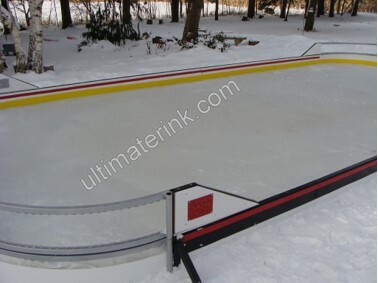 Needing to somehow level you site or your outdoor rink frame because you have misjudged the outdoor rink slope or grade in the area that you have chosen and then doing it with snow? Please, please, don’t use snow to prop up your low side framing. Suffice to say snow melts during mild conditions. What would you do then? ….and please, for your sake, don’t add lines to your rink for a pro look unless you have complete shade. The sun attracts to your dark lines and causes solar melt on your outdoor rink surface where there is anything dark, like lines, leaves, pine cones etc. This would mean that a slushy mess is created and your skating surface ruined where your lines have been added. If you have complete shade in your rink building area lines are a sweet addition. Here are our first skate times since we started to record them since 1994. These are the dates our blades hit the ice for the first time yearly in our local Southwestern Ontario, Canada. 2007…November 25 now thats a good ole fashion winter !!! 2008…November 20 and this was good too! Keep in mind that several of these years we were chased off of our ice pad due to warm trends that followed cold snaps. 1996, 2003, 2006 and 2011 being four of them. Also remember your location will greatly affect your “first skate” times. The Backboard Braces are the Series 2 Classic J-Brace. Order them separately for fastening your backboards with integrity and strength. These braces not included with the rink kit and not to be confused with the amazing 5 in 1 J-brace which are rink frame, rink building freedom included with 2200 to 9985 series rink kits. 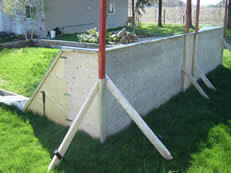 More pictures in the eBook on backboard fence fastening to maximize your yard for your amazing outdoor rink. Also included in the e book what wood to buy and how to cut it for the wrap around backboard system below. Also included are full Auto Cad drawings of the entire backboard assembly process. Shown just below in the fall…. 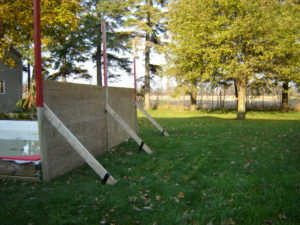 our backyard backboard set up complete with Series 2 backboard Classic Steps 2&3: Stand it up using 2″ x 4″ s to hold your plywood in place and then fasten them together. Depending on the width you may need to do this in several sections. Then use 2″ x 4″ angle supports as shown to add integrity and strength. To add the wrap around section as shown above just prepare and assemble using 1 piece of plywood. Safety is paramount, so do cut your plywood, backboard wrap around, on a 45 degree angle as shown and support from exterior sides with 45 degree angle supports.